"Everything from swingin' jazz to high-energy dance music"
Since late 2010, the Swooners have been swooning fans into a blissful state of musical ecstasy with lush vocal harmonies, virtuosic solos, and killer dance grooves. They aim to only perform what they consider to be the best music from throughout the ages and really know how to throw a party! 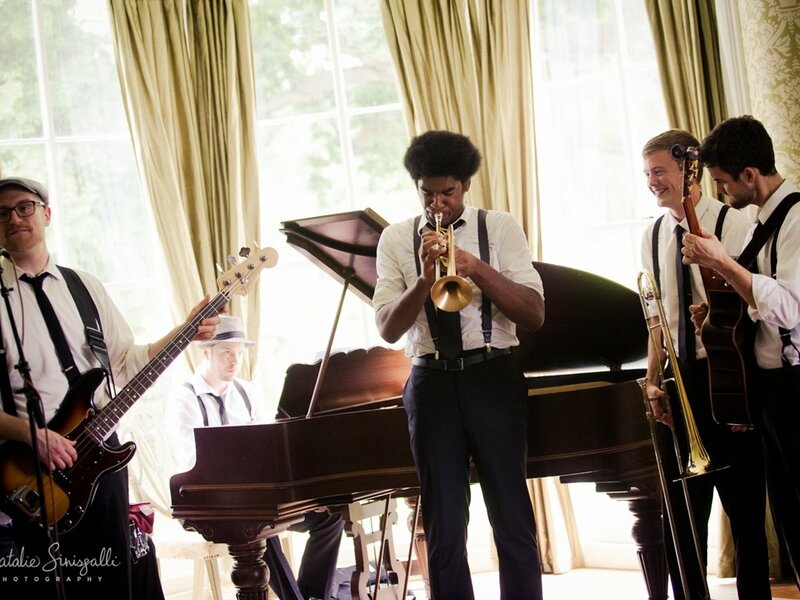 These cool cats are the crème de la crème as far as musicality and taste and will leave you wanting more! Walk down the "aisle" to beautifully performed live acoustic music by our world class instrumentalists! Light jazz is the perfect compliment to cocktail hour or any occasion where there will be hors d'oeuvres and socializing! Dance all night to our core band plus blazing horn section, female vocalists, and optional latin percussionist!